This is a rumor that has been circulating for months with the upcoming iPhone 5. Tech sites of all kinds reported on the iPhone 5 having a 4 inch screen and even 4G capability. But, is it really a rumor anymore? Yes, it is still a rumor, but the iPhone 5 didn’t even end up coming out this year. The iPhone 4S brought the popular style of the iPhone 4 back into the market with amazing features including an A5 dual core processor, 8 megapixel camera, and dual core GPU. I don’t see how they could make another iPhone along the lines of a iPhone 4, so the iPhone 5 is expected to be the next iPhone. Many reports have said that Steve Jobs last contribution with Apple was the iPhone 5 design. Can’t wait to see what it is. I’m sure though that Apple will perfect the design anyway. 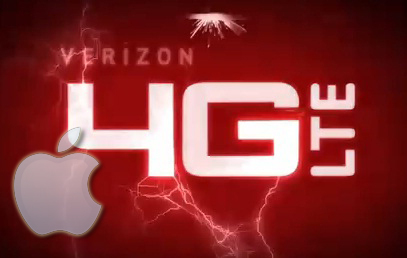 But, the next iPhone is said to have something we have waited for for a long time, 4G LTE capability. Questions have been asked to Tim Cook, CEO of Apple, “Why didn’t you add 4G LTE to the iPhone 4s?” He answered by saying that the 4G drained the battery life of the Apple devices. So, maybe it was good to wait for the 4G, because I know i’m not the only one, but I hate when my battery on my iPhone drains.